Minnesota wild rice — a nutritious aquatic grass seed. Grain is 3/8 of an inch long — shorter than our Canadian Organic Wild Rice. We preserve the nutritious black outer hull. (Some processors remove the black hull to obtain a shorter cook time.) Also, we dry the rice properly, which prevents the moldy aroma sometimes found with other wild rice. Wild rice, an aquatic grass seed, is higher in protein than other white rices and grains. Common uses: Often used as a major ingredient in soups, stews, and casseroles. Also used alone as a side dish and as a base for entrees and salads. Note — Our Minnesota grown wild rice is labeled "Thousand Lakes Food Company," a brand of North Bay Trading Company. A popular gift item: Use our multiple-address and gifts-messaging features to send our Minnesota Grown Wild Rice to friends and family. It's great rice, but you can eat it for breakfast, just add your typical sausage you love, or raisins, or whichever you enjoy. Wild rice is great for you, but don't take my word for it, buy some and try it yourself! It's soooo good! I cannot say enough good things about the Canadian organic wild rice. It's the gold standard of wild rice and has forever changed my understanding of good wild rice. Canadian has an incredible flavor and a wonderful texture. I like that it is low glycemic and I feel healthier every time I eat it. Easy to make it a rice cooker with water or with chicken broth. It even freezes really well, making it easy to have on hand for a future batch of soup. 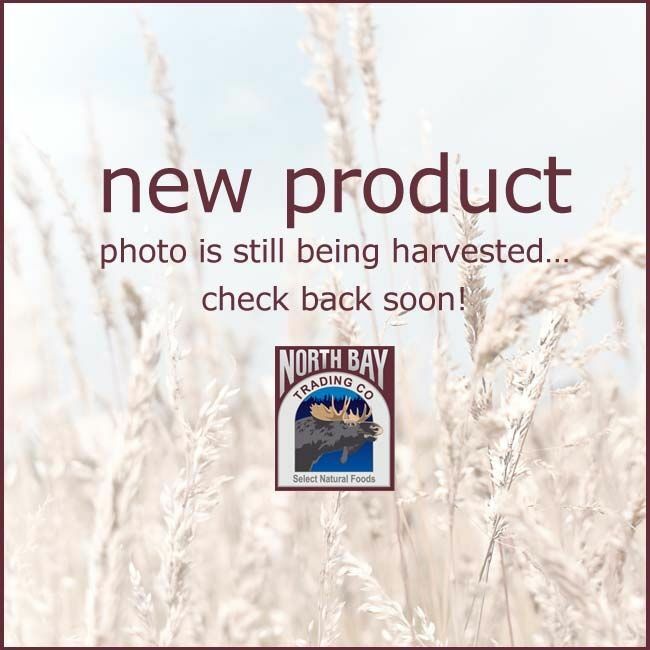 Thank you Northbay Trading for offering this wonderful product -- and for your amazing customer service! This is the best wild rice. We prefer the Canadian wild rice to the Minnesota wild rice, but wither way, the real wild rice is awesome! This and the organic Canadian are delicious - hot, cold, as a salad - yum! I first bought it for myself. Since then Ive been very lucky to receive it, as requested, for Christmas & birthdays! Very good. The only better wild rice I've ever had is North Bays Organic Canadian Wild Rice. We love it. My wife said we are never buying regular rice again. I was raised in Northern Minnesota; we use your rice in our restaurant "The Queen City Grill" in Seattle! It is the best. Thank you. i have always enjoyed wild rice, i just wish they still offered a style of rice that could be popped. i really enjoyed that as a child. For about a year now, this rice has become a staple with me. I take 8oz Ball jars; in 1/3 of the jar I add 1/4 wild rice, 3/4 brown rice. I then add water to a little less than 2/3 remaining. This I pressure cook for about 45 minutes (i.e. I "can" it). This, I can store for a very long time. To serve, I just open the jar; add whatever spices I'm experimenting with at the time; heat the jar in a sauce pan of boiling water 10 to 15 minutes; and that fills out my grains group for the meal. Great taste. No hassle. Great shelf life. I haven't written a review before but I am a repeat customer. Not only is the wild rice sold at a fair price for the value, it is also the cleanest rice I have ever purchased. I grew up in NE Minnesota and wild rice was a staple in my diet and now that I am living out of state North Bay is my vendor of choice. It's unbelievable that you can get something this good and this nutritious for this kind of price. This wild rice is easy to cook and beyond delicious, and you can use it hundreds of ways. I have bought the North Bay product at a local market at twice the price. This is an excellent tasting wild rice rice that is good for you and is priced reasonably. I received my order today and it is wonderful. I will definitely order more soon. Same with the Canadian grown rice. I have always liked wild rice, but Minnesota grown wild rice is the best I have ever eaten. There is a wonderful nutty flavor that is just delicious. It turns out perfectly if you follow the exact directions. The chewing is part of the enjoyment. I've raved about the Canadian Wild Rice, it's the best in the world IMO. The Minnesota Rice these guys sell is far superior than what you'll buy in the grocery store, by far. And it's a super product. Buy it, you'll like it!! LOVE that this is gluten free....it is such a wonderful wild rice! I use this wild rice on almost a daily basis as part of my breakfast or dinner. Either by itself or mixed with brown rice, it is absolutely delicious and the texture can not be beat for something out of the ordinary. I've found the company extremely easy to order from and my rice arrives at my house usually within 2 to 3 days at the most. How can you beat this. Excellent! review by Nikki S.
What can I say...everything is perfect. The Minnesota Grown Wild Rice is spectacular..so much so that I then ordered and received my first shipment of Canadian grown Wild Rice. Shipping is practically immediate. Having lived in Wisconsin, I had access to wild rice fairly easily. Down here in Pennsylvania, not so good! But since I found North Bay, I'm as happy as a Maryland crab! Thank you for your product and your excellent customer service! I haven't been able to purchase 100% wild rice in our area and was running low. I found your company by "googling" and was impressed with your website, pricing, and the reviews. I know that Minnesota wild rice is as good as it gets (my last purchase took place while we were in Minnesota), so I ordered 5#. I haven't had a chance to use any yet, but I could tell just by the appearance that it's just what I wanted. All the grains are perfect in color, size and shape and if anything look even better than the photo on your website. I know I'll do more business with you! We used to order Minnesota wild rice from another company and just started using North Bay Trading Company. This wild rice definately met/exceeded our expectations. It was delicious and a big crowd pleaser. We cook up a ton of it for special events and it was so good people wanted to take home the leftovers. Will definately order again. This Minnesota Wild Rice enables our family to enjoy a delicious Thanksgiving Wild Rice Stuffing with our daughter who has celiac disease and must have a gluten free diet. No one notices that bread stuffing is not a part of our meal with this satisfying and tasty addition to our menu. As a Minnesota native now living in the Florida Keys, I missed great wild rice (none available in the Keys). I had to have some and so far have made Byerly's Wild Rice Soup. Yum! We sold this product as a fundraiser for the Unitarian Universalist Fellowship of Door County, WI. Everyone loves the rice. The money raised will purchase an Automatic External Defibrilator (AED) for the congregation. Wash wild rice with cold water and then drain. Then cover and strong simmer for about 40-45 minutes. Do not over cook. For the full flavor and chewy texture of Minnesota wild rice, stop cooking when the rice looks like an opened hot dog bun — not exploded like popcorn. Yield — Expands almost 3 times when cooked. Use 1 cup (about 0.4 pound) of uncooked Minnesota wild rice to make 4 generous portions.